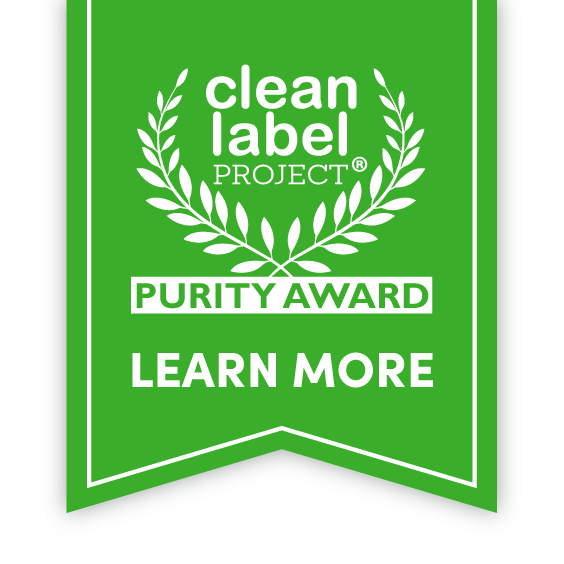 Clean Label Project Purity Award Winner! 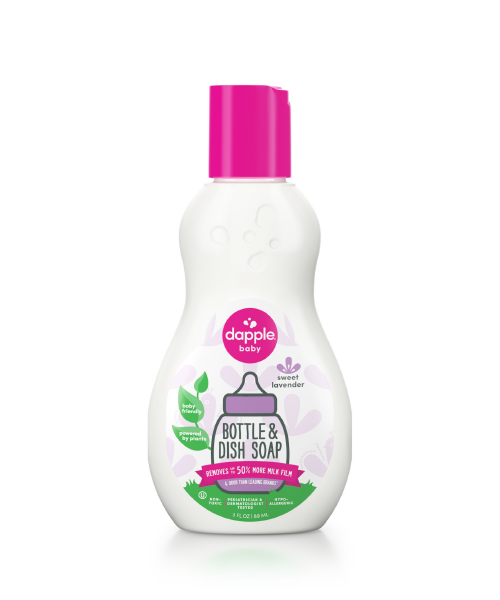 Each Dapple cleaning product is created with plant-based ingredients that are biodegradable, and made without parabens, formaldehyde, SLS and SLES, as well as synthetic dyes or fragrances. Our friends at the Clean Label Project are hard at work to make it even easier to identify products made with good, clean ingredients. They test America’s best-selling consumer products for more than 130 contaminants and toxins including heavy metals, antibiotics and pesticides! 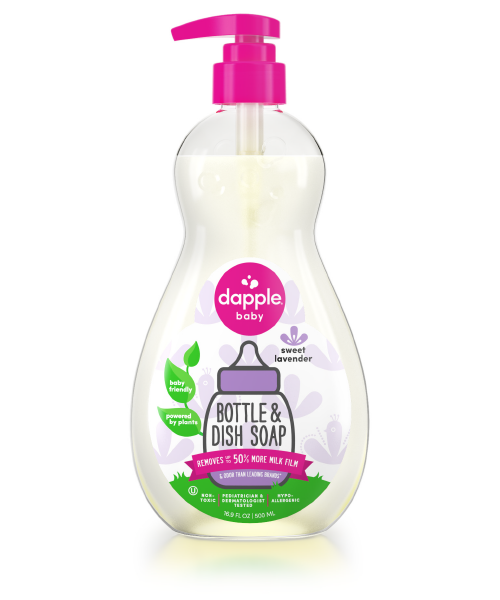 The #1 selling baby dish soap comes in fragrance free or multiple light, amazing scents. The #1 selling baby dish soap is ready for on-the-go! 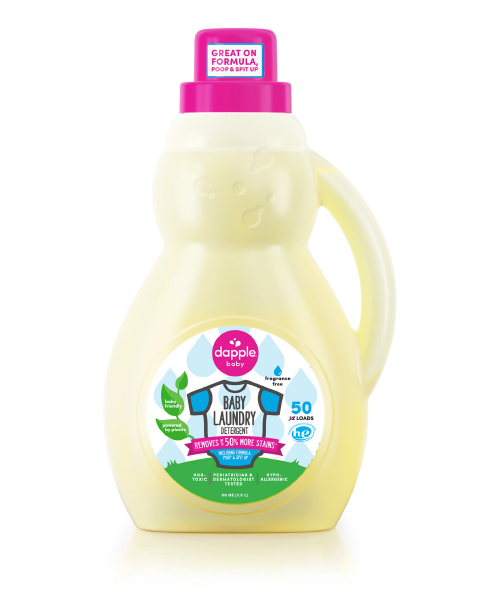 The #1 selling baby dish soap is also available in convenient refill pouches so you never run out! Dapple’s plant-based bottle cleaning magic is also ready for your dishwasher with unique formula that keeps bottles & plastics clear. 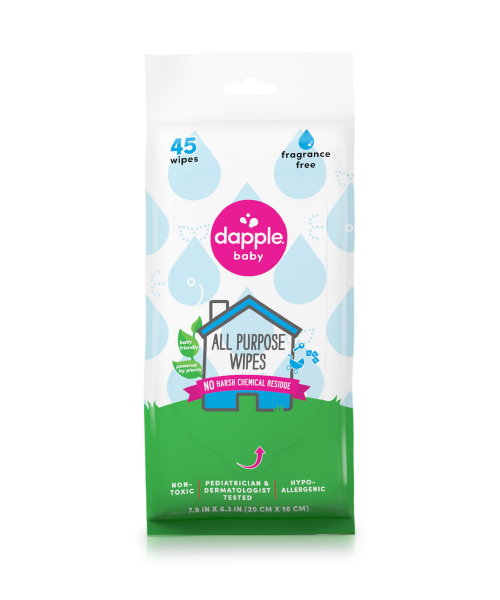 Dapple wipes help you wipe away gunk, grime & sticky fingerprints all your household surfaces and toys with no chemical residue. 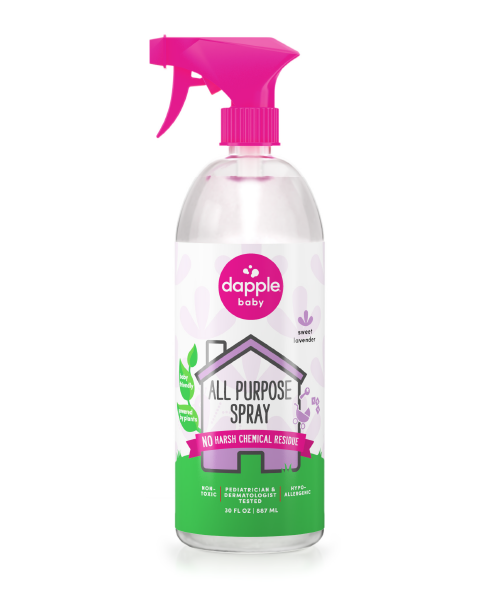 Dapple spray cleaner are the perfect way to safely clean all your household surfaces and toys. It’s incredibly pure and effective formula lets you spray and wipe without worry. 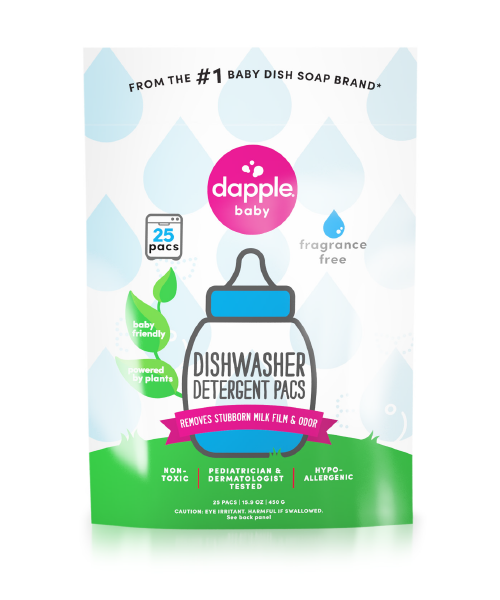 Dapple’s plant-based laundry detergent is specifically designed for baby messes – especially poop and spit-up! It’s so good that is removes up to 50% more stains than other leading detergents. 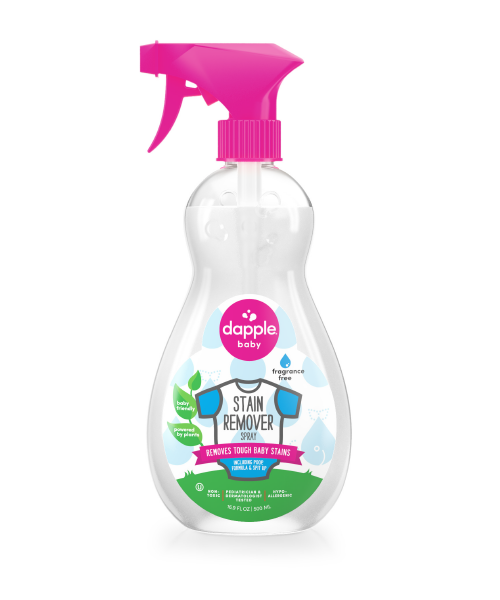 And for those extra tough baby stains… Dapple’s stain remover spray is an effective & safer alternative to conventional pre-treatment formulas. see just how we stack up. 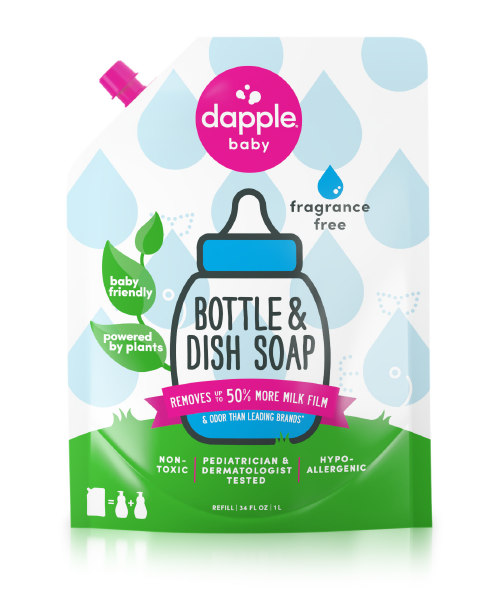 Independent tests show that Dapple’s amazing plant-based formulas work better overall and on the toughest baby messes. Of course, no product will work better on every single stain, but Dapple works as well or better on nearly every baby mess. 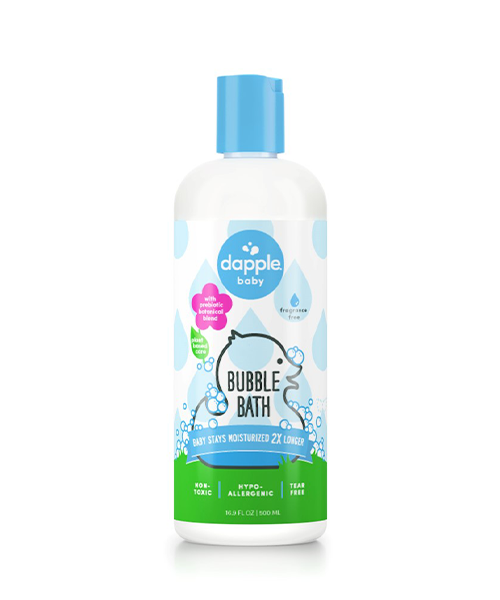 A controlled cleaning efficacy study was conducted at Ellipse Analytics comparing Dapple to the 5 competitive products. Results of the testing are shown below. Data indicates that Dapple does remove up to 57% more Protein than the Method product and is better than the others to varying levels. A controlled study was conducted at Ellipse Analytics comparing Dapple to a range of competitive products. Results of the testing are shown below. 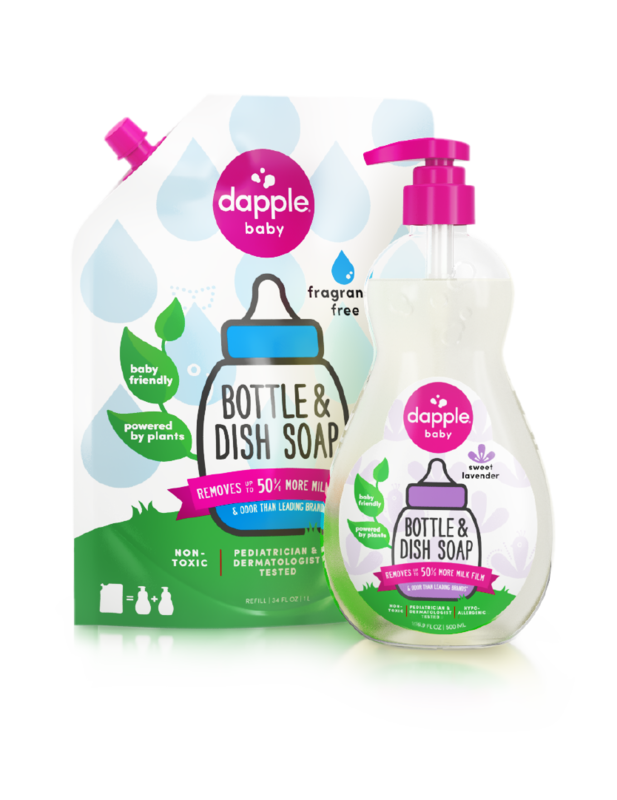 Data indicates that Dapple has superior purity vs. industry averages on key contaminants. 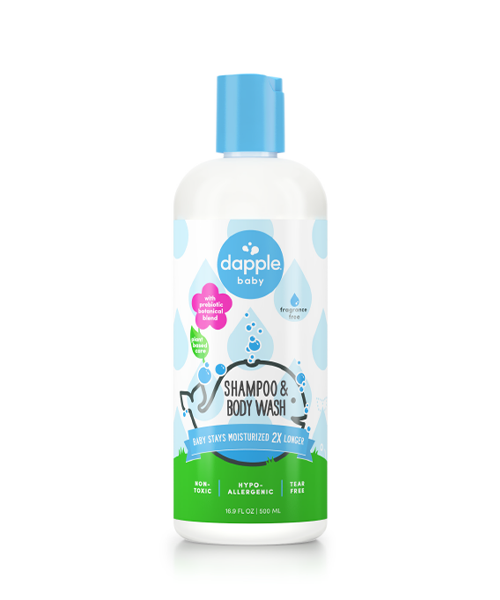 A controlled laundry cleaning efficacy study was conducted at an independent lab comparing Dapple to the 4 competitive products. Results of the key three stains are shown below. 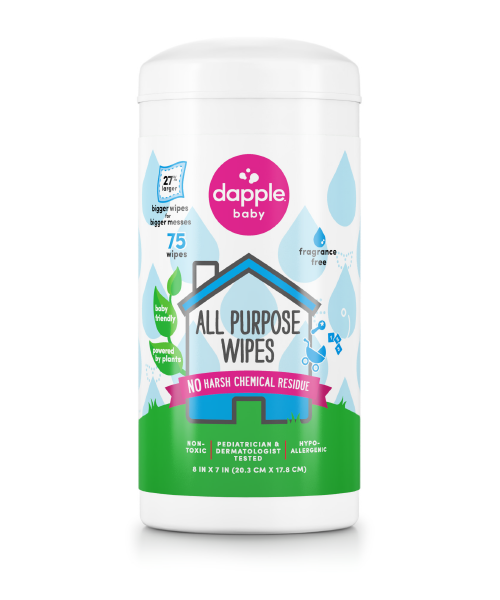 Data indicates that Dapple is effective on all of the stains and removes up to 50% more than the Honest product on Formula and better than the others to varying levels. 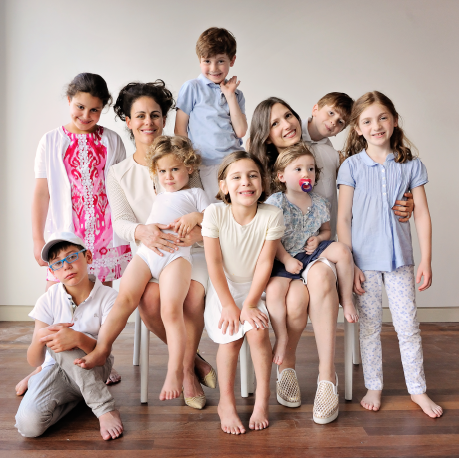 When we first became moms, we found a market full of “baby-friendly” products. But there was nothing specific for cleaning all those baby bottles, cups, and dishes. Regular dish soaps left behind some lingering smells—a less-than-pleasing bouquet of synthetic fragrances and persistent odor, plus a film that never seemed to come off. Yuck. 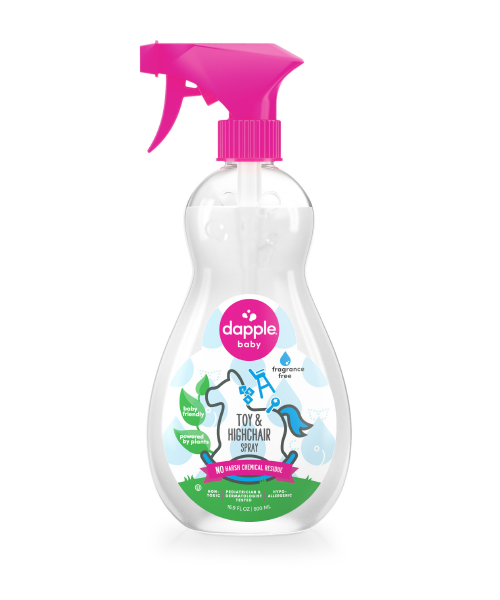 So we created a line of products that were plant-based and baby-friendly, specifically targeted to clean their *ahem* unique messes. And that’s how dapple was born. Our cleaners are tailor-made for households with babies and kids. Each dapple cleaning product is created with plant-based ingredients that are biodegradable, and Made without parabens, formaldehyde, SLS and SLES, as well as synthetic dyes or fragrances. We’d love to help you in any way we can. If you have a question, feel free to reach out!